The wait is over. 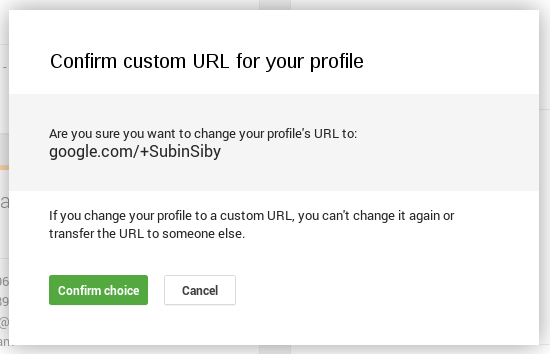 Now you can short your Google + long profile URL to something like http://www.google.com/+SubinSiby. Yes, you can get a short URL on google.com. Google made this public 3 or 4 days ago. I got a mail saying that your profile is now eligible to short. In this post I’m going to tell the step by step procedure to short the long URL. If you got the mail already you can skip Step 1. Go to your Google+ profile page. Wait till the page is completely loaded. If you get the bar (shown below) at the top of your profile page, then you are eligible to short your URL. 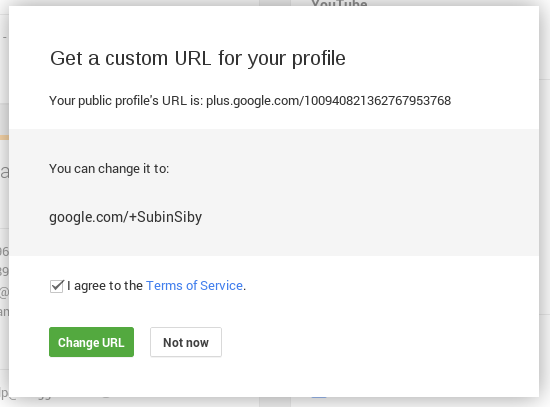 Tick the I agree to the Terms of Service check box and click on Change URL. Google will ask for confirmation. 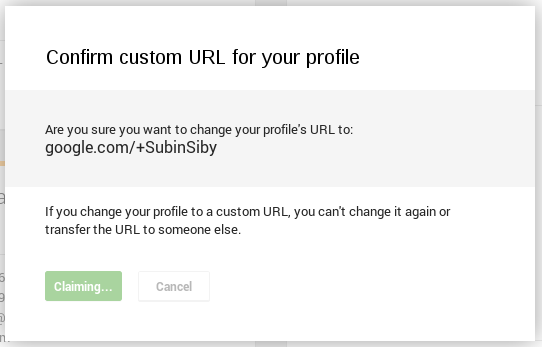 Note that you can’t change this short URL to something else in the future once done.